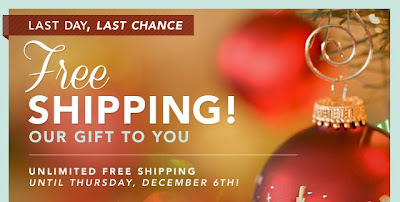 CBD.com, our favorite resource for books and gifts (including homeschooling ), is offering free shipping until tonight, December 6. I already placed our order for some wished- for books. As always, the order was shipped within 24 hours, I was notified by e-mail and my books are on the way.